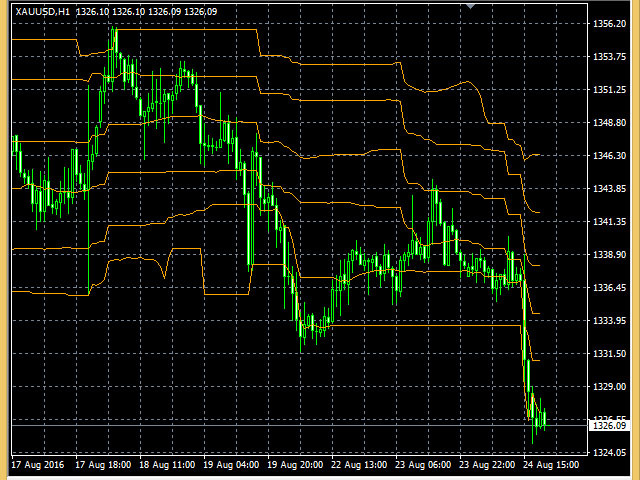 Harrow is an indicators based on support and resistance values. 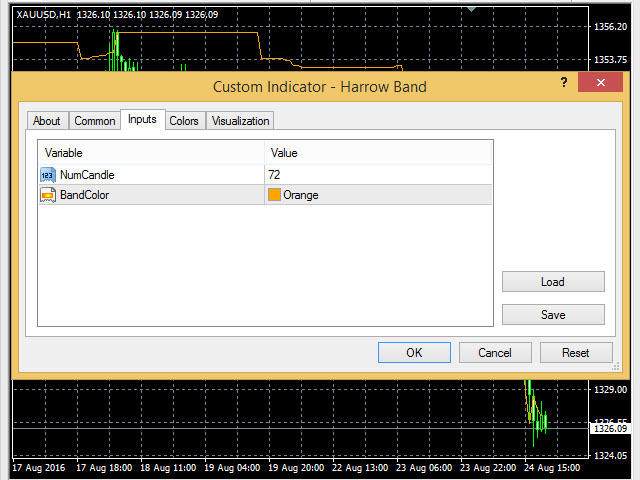 This indicators is development of Harrow Band indicator, where provide 6 level of bands that indicate the nearest of support or resistance position. With this indicator trader will be easier to see where entry and exit point of his trade action. 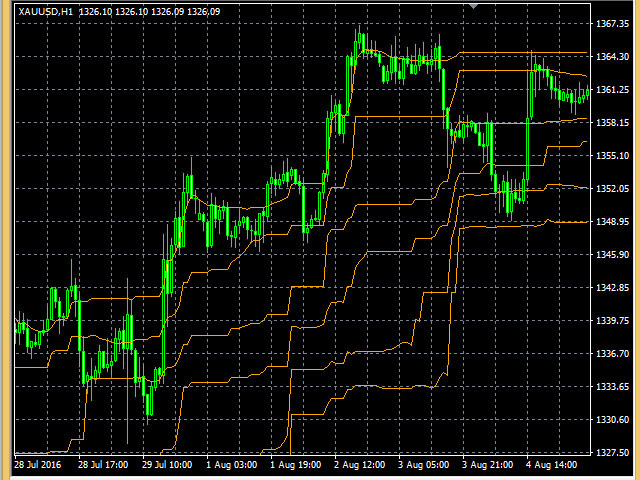 This indicator can use in any pairs and timeframes, but recommended to use in XAUUSD at timeframe H1. NumCandle. Number of candles that used for calculate the support and resistance position. BandColor. The color of bands.